What to do in Twentynine Palms, Yucca Valley, Joshua Tree, Morongo Basin. Events and activities, Joshua Tree National Park. Highlights youth Art, Adult Music and music festivals and classes. Looking for Weekend Highlights? Our Blog report makes it easy! Twentynine Palms kiddos, get ready for ChalkFest on November 4th & 5th, 2017. FREE community event! A monthly pop-up shop featuring local and traveling artisans & musicians. Presented by Desert Offerings, an ongoing project supporting hi-desert creatives, founded by new media artist and small press publisher Emily Joy. Reservations are only required for indoor spaces (about a dozen tables). Join in the fun every Sunday & Tuesday for weekly Bingo. Doors open at 3:00pm with some of the largest payouts in the Morongo Basin. Open to the public, non-smoking. Good food at great prices! Action games at 4:30 pm , regular session at 6pm. Palm Springs Air Museum Open Cockpit held Saturday's from 10:30 am to 12:30 pm! Most of aircraft are inside climate controlled hangars! Elks Lodge 2134 hosts Friday Nite Bingo! You don't need to be a member to play. Early birds at 6pm, regular session 7p.m. Buy in $15.00. Dinners & Beer Available. Bring Cash! 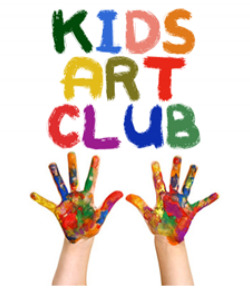 29 Palms Creative Center offers Kids Art Club ! Sign-ups are required at least 24-Hours before the scheduled workshop. Date of Interest, Name of Contact, Student(s) Full Name and Age(s). Vinyasa Flow Yoga held Thursdays from 10:30am to 12:00pm. Class instruction by Suzanna Wheeler held at Joshua Tree Community Center located at 6171 Sunburst Ave., Joshua Tree. Grab your matt and drop-in for $8 or $24 per month. Bring a friend for $5 drop-in and $20 per month! Register online at Joshua Tree Parks and Recreation. 0n the lawn at the historic Oasis of Mara for morning yoga practice with Certified Kripalu yoga instructor Karen Tracy. Start your day with a relaxing and restorative one-hour class, beginning with warming postures that awaken and open the body, leading to expansion, strengthening and balancing. Instructor Lorelei Greene will be offering Slow Flow Yoga Classes through the Twentynine Palms Parks and Recreation Department. Classes held Tuesday nights from 6-7:30pm at the Community Services building across from Luckie Park. 74325 Joe Davis Dr., 29 Palms CA 92277. All levels of experience encouraged to join if over 18 years of age. Fees are $12 per class or $40 per month. Walk in's welcome. Contact Parks and Recreation for details 760.367.7562. Join in the fun every Sunday & Tuesday for weekly Bingo. Doors open at 3:00pm with some of the largest payouts in the basin. Open to the public, non-smoking, and Air-Conditioned! Good food at great prices! Action games at 4:30 & 4:45. Regular session around 6pm. Lorelei Green is your gentle yoga instructor every Sunday afternoon at the Wonder Valley Community Center located at 80526-1/2 Amboy Rd., Wonder Valley just east of 29 Palms. Grab your mat and drop in for only $12 or monthly for $40! Donations accepted for this wonderful #NonProfit but not required. Watch shooting stars known as the Perseid meteor in the dark skies of Joshua Tree. Camp-out with the International Dark Sky Association or just stop by to visit. • Saturdays 7 p.m., gates open at 6:30 p.m. Since 1995, the Town of Yucca Valley has taken great pride in assembling a quality mix of live music for friends and family to gather and enjoy. It is the Town's goal to offer bands that are not only entertaining but also enhance concert goers appreciation of the diverse styles of music available. Unwind on the cool community center grass as the Town offers music to entertain. Movies will begin between 8:30 and 8:45 p.m. - Be kind to others and arrive early to prepare your space before the show. Movies will be shown on the North facing wall of the racquetball court in Luckie Park. The large grass soccer field will be the designated viewing area. Families are encouraged to bring picnic dinners, lounge chairs and blankets. Please be advised that animals, marijuana and alcohol are not permitted in any park area. Concessions will be available for purchase through the Twentynine Palms Youth Club. Yucca Valley's Summer Family Fun Day has come! Join friends and family to celebrate "our planet - our home". The fun is held at the Yucca Valley Community Center and Hi-Desert Nature Museum. Back by popular demand! Join MDLT at our HQ in Joshua Tree for our Summer Salvage Saturday sale. Our field staff has accumulated so many desert treasures for your purchasing pleasure! All proceeds from the sale will go towards MDLT's conservation programs that help keep our desert pristine for generations to come. For the 3rd year in a row the City of 29 Palms' Parks and Recreation Department is bringing this fun, interactive water obstacle course to Luckie Park Pool. Children under 8 are welcome but must be accompanied by an adult. Lifeguards will be on duty. Come prepared wearing appropriate swim attire. No belts, buttons or zippers. Lifejackets are allowed. Hey kids! Is the summer heat starting to get to you? Come cool off in the park! Recreation staff has lots of ways to beat the summer heat. Slide down a slip-n-slide, splash in wading pools, run in and out of sprinklers, or how about a water balloon toss? We’ll keep you cool by keeping you drenched! Parents/adult must stay with children, bring a lawn chair and sit in the shade. Joshua Tree Recreation and Parks District has officially opened the Splash Pad and Water Park for summer 2017. Please be mindful of days open and children in the parking lot. Safety first! Joshua Tree Recreation and Parks District has officially opened the Splash Pad and Water Park for summer 2018. Book Release with readings by Rik Livingston, Jean-Paul Garnier, Mari Collier and T Hammidi plus screening of the film, "The Beast of Hollow Mountain". $4 Taco Plates available. An evening focused on the distant and mysterious "Dwarf" Planet,,, PLUTO as we will venture to grab a view of this faint object with our visual telescopes. That's right! Visual seeing of the tiny rock so far away, as it moves into Sagittarius we can perhaps get a glimpse of this rarely seen place in our solar system. We will also be introducing a new program that will become part of our regular show where we go IDA dark for a laser tour of the night sky. This is inspired by the notion that more attention needs to be put on the environmental thoughts of how the International Dark-Sky Association has been fighting for quality night skies for over a quarter of a century. We will celebrate this organization and with that be making a very special announcement regarding them and our desert night skies. Please drive SLOWLY in the Campground to keep dust low and remember your comforts and libations. We ask $5.00 at the door, though never turn anyone away. We do insist that pets be left at home. No pets please. Toddler Dance Class held Monday's with 29 Palms Parks and Recreation for $30! Call or stop by to register! The Palm Springs Air Museum is air-conditioned, educational and action packed daily for summer. Don't miss out on what they have to offer. Open Daily! The Town of Yucca Valley will present the annual fireworks show at Brehm Park. Enjoy live music presented by the Desert Sol (Funk) .